At least 217 workers died from an unintentional drug or alcohol overdose while at work in 2016, up 32 percent from 2015, according to the Bureau of Labor Statistics. It is not that businesses are unaware of the toll the crisis is taking. Large employers spent $2.6 billion on treating opioid abuse and overdoses in 2016, up from $300 million 12 years earlier, according to the Peterson-Kaiser Health System Tracker. Those numbers do not include the cost of lost productivity. Workers who misuse pain medication miss an average of 29 days a year, compared with 10 1/2 days for other employees. On-the-job injuries are common in that industry, and many workers begin their addiction with a prescription intended to help get them back to work. In 2016, 2 in 5 workers’ compensation claims for prescriptions included an opioid. Laborers tend to come and go on job sites, meaning employers often don’t know much about their workers. Alarmed by his descent, he moved across the country to Newport News, Virginia, where he would be far from his dealers and drug-using friends. Though he readily found a job in Virginia, he also quickly got hooked — this time to opioids. That part of the country was awash in cheap heroin, which he augmented with Dilaudid, a semi-synthetic opioid prescribed by a doctor for back pain. The Nord Family Foundation, a charity in northern Ohio, hosted an event in May in Elyria, near Cleveland, that was designed to teach employers how to identify and treat employees with substance use problems. Dr. Donald S. Sheldon, a trustee at the foundation and a former hospital president, advertised in local newspapers and reserved a room at the local community college that would seat 200. Just one employer, Giovanna Painting in Spencerport, New York, agreed to an interview. Alan Hart, the company’s president, said he was shocked when one of his employees was discovered dead from a heroin overdose in a port-a-potty on a job site in 2017. 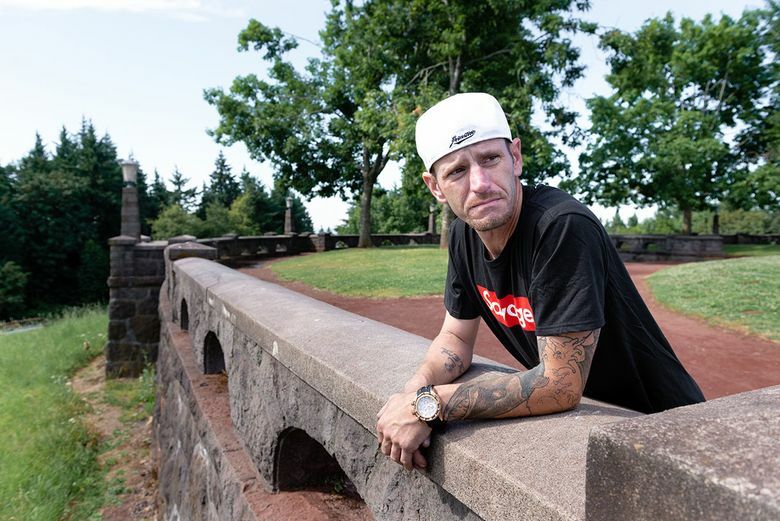 Back in his hometown, enticed by union retirement benefits, Sullivan joined the Bricklayers and Allied Craftworkers Local 1, Oregon in 2016, which turned out to be a turning point for him. Matthew Eleazer, the president of Sullivan’s local, said at least 10 of his approximately 650 members had recently struggled with opioid use disorders, some with lethal outcomes. One was a single father prescribed opioids for a back injury who accidentally took too many pills. Another was a promising young apprentice found by the side of the road with a needle in his arm on his way to a wedding. Sullivan was unwilling to go to jail and disappeared. Union officials tracked him down and called police to arrest him when he was passed out in his car. The union persuaded a parole officer who helped convince a judge to let him serve his time at a drug treatment facility instead of jail, and union representatives called him several times a week. A month later, Sullivan was back to work on a union job, living in a new home and clean once again.